Established in 1946, Goodrich Roofing is a third-generation family business that proudly serves Albuquerque, Edgewood, Rio Rancho, Los Lunas, Los Alamos and surrounding New Mexico areas. We have the oldest construction license in the state of New Mexico (#3221). As the Duke City’s leading roofing contractor, Goodrich Roofing has the experience and manpower to care for your roofing needs residential or commercial, big or small. At Goodrich Roofing, we adhere to the highest standards for training, quality workmanship and customer care. Many of our employees have been with us for more than 15 years, and some as long as 40 years. This ensures we can expertly install roofs that will provide the ultimate level of protection for decades to come, and that our customers will have a trustworthy roofing company to turn to whenever the following services are needed. Residential roofing and commercial roofing. When you choose Goodrich Roofing, you choose an expert in New Mexico roofing. 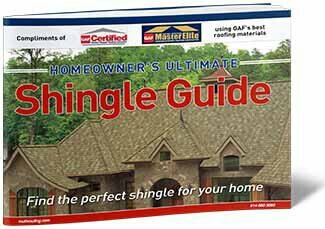 We skillfully install every type of roofing material suitable for the climate, including shingles, tile, metal, rolled roofing and single-ply membranes. Goodrich Roofing is a registered member of the New Mexico Roofing Contractors Association, the National Roofing Contractors Association, the Better Business Bureau And the Associated Builders and Contractors. Goodrich Roofing is the only New Mexico roofing contractor – and one of just a handful in the United States – to be recognized as both an Owens Corning Platinum Preferred Contractor and a GAF Master Elite™ Contractor. This means we can provide lifetime manufacturer warranties on our installations which our competition cannot offer. For almost 70 years, Goodrich Roofing has been backing our work with warranties that you can trust. You can depend on us. Estimates have always been free at Goodrich Roofing, because we want to be your residential and commercial roofer of choice. Give us a call today at (505) 884-0662 or submit an online request form on the right. We’d be pleased to schedule a convenient time to meet with you and discuss your needs.